Well, this is awesome. Most ’90s kids will remember Brian Bonsall from his role in the movie Blank Check, where he portrayed Preston Waters, a kid who has the once-in-a-lifetime chance to spend a million dollars however he pleases. Now, there’s a new reason to obsess over the former child star. The kid from Blank Check is back, and he’s got a whole lot of peppers! Yep, Brian has done a lot of growing up since the film’s debut in 1994, and from the looks of it, he’s spent some of that time amassing peppers! The photo above, posted earlier this week, depicts Brian showing off his many peppers. When last we saw Brian, he was just 14 years old and didn’t have a single pepper, and now look—he sure has come a long way! 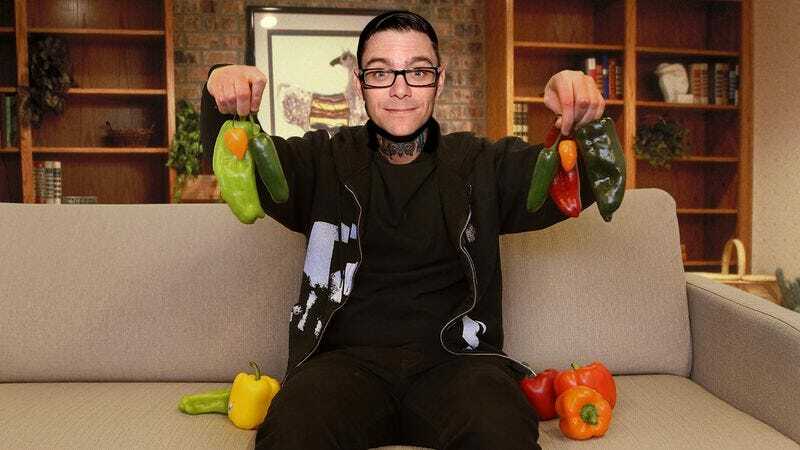 Who could’ve guessed that Brian would go from fresh-faced child star to owning such a huge amount of peppers? It’s a reminder that no matter how many peppers a kid has right now, you never know how many peppers they’ll have later. Seems like one moment, they’re just kids, then you blink and suddenly they have more peppers than you can count! Wow. Just look at all those peppers!